RxFunction has the first, and only, patent protected, commercially viable and affordable wearable sensory prosthetic mobility device to replace lost sensory information related to balance for peripheral neuropathy sufferers – Walkasins® Wearable Sensory Prosthetic™ (WSP™). 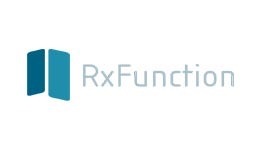 RxFunction is looking to introduce Walkasins as a prescription-based, Class II (510(k) Exempt) External Assembled Lower Limb Prosthesis, initially targeting the estimated 40 million PN patients in the U.S. market, with other segments to follow. The average “at-risk” faller user would see improved results in gait after one session of less than 30 minutes of training.